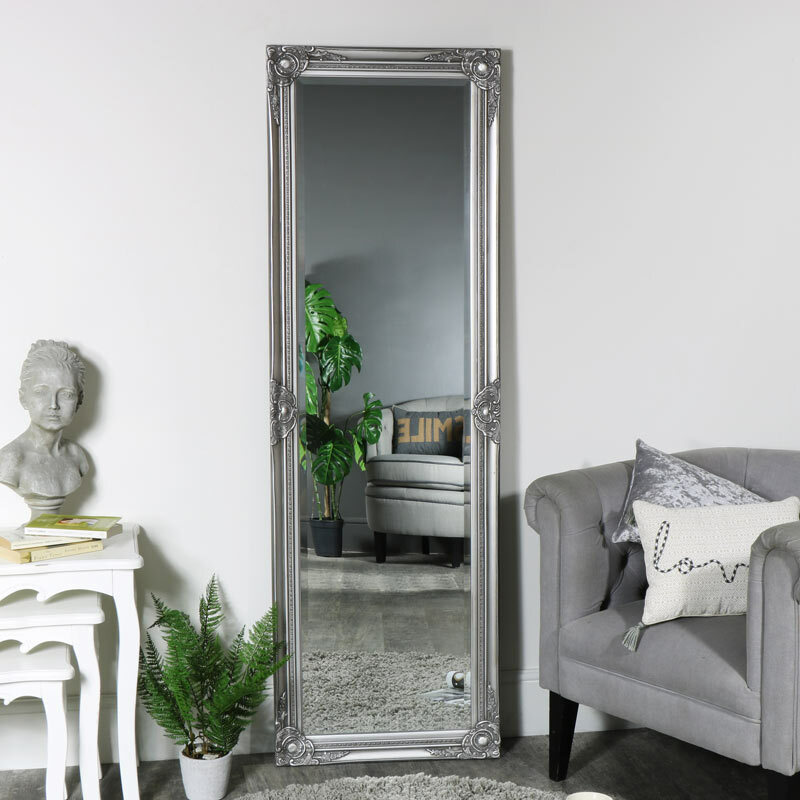 This elegant full-length Silver Mirror with its beautiful ornate and detailed scroll like pattern that edges the mirror and its corners would make a stunning edition to your bedroom or dressing room. Mirrors, especially this one can be a key item in any room and décor, from the living room to the bathroom and from contemporary to a more vintage or glamorous interior. The mirror not only allows you to choose whether you wall mount or simply lean but can also be hung vertically or horizontally. 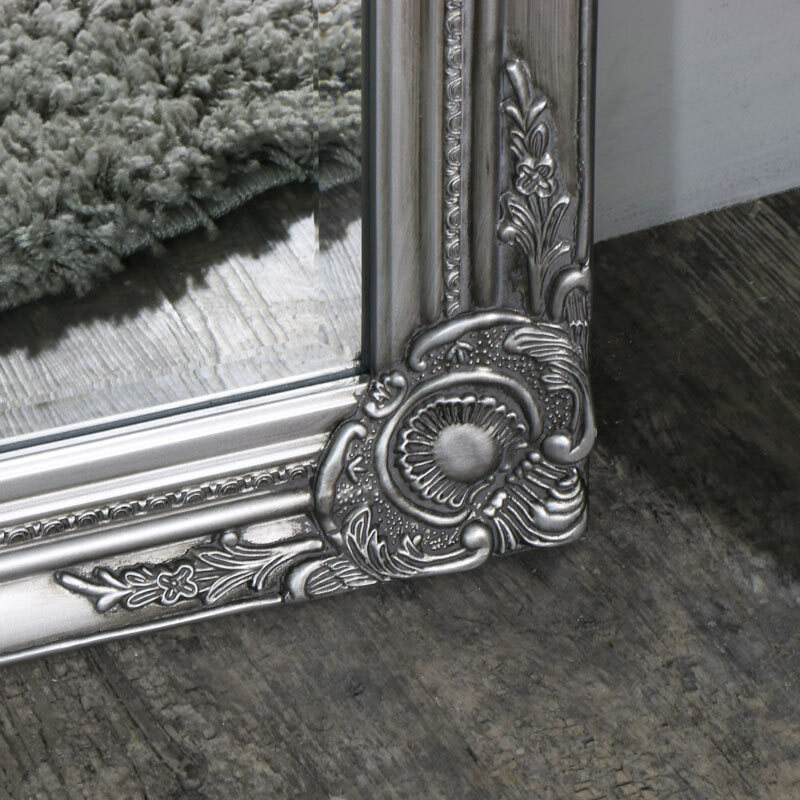 This elegant full-length Silver Mirror with its beautiful ornate and detailed scroll like pattern that edges the mirror and its corners would make a stunning edition to your bedroom or dressing room. Mirrors, especially this one can be a key item in any room and décor, from the living room to the bathroom and from contemporary to a more vintage or glamorous interior. The mirror not only allows you to choose whether you wall mount or simply lean but can also be hung vertically or horizontally. With four wall mountable hooks fitted to the back it couldn’t be easier to hang this beautiful mirror straight onto the wall. If you’re looking for something a bit bigger or smaller then head over to our mirrors category and look at our extensive range of mirrors. QWhat weight is this mirror? 1-3 working days for delivery to mainland UK addresses.